The College of Business recommends that computers used for educational purposes meet the following specifications to ensure compatibility with business related software. 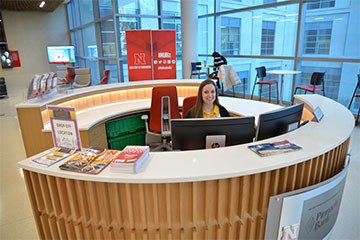 The University of Nebraska provides students with resources to purchase new computers, provide support for current computers and other services. 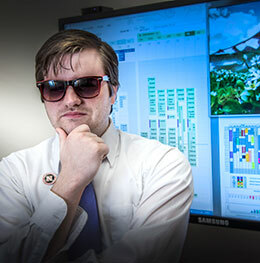 Please refer to https://its.unl.edu/huskertech/ for information pertaining to the services and computers available to students. 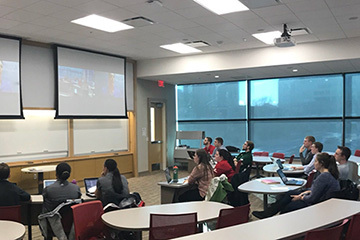 As a service to our students, the College of Business provides students free access to Microsoft DreamSpark and development software products for learning and research purposes. Students must be enrolled in a minimum of 1 credit hour of business coursework. More information about DreamSpark can be found below under "Other Resources". How do I print to the printers? To log into the lab computers and for printing, use your Active Directory username and password. If you need to activate your account or reset your password, please visit adactivation.unl.edu and follow the instructions on the web form. If you are a guest and do not have a Active Directory account, please stop by the College of Business Technical Solutions Center. The Uniprint system is a pre-paid printing account that you can refill online. The system uses your Active Directory username and password. Visit uniprint.unl.edu to refill your account or check your account balance. If you have a laptop running Windows XP or later, you can download and install the Uniprint software and printer driver for the Coe Learning Center printer. This will allow you to print directly from your laptop through the wireless network. Run the installation file, and click Install to begin. To print, select the Coe Lab B&W printer. 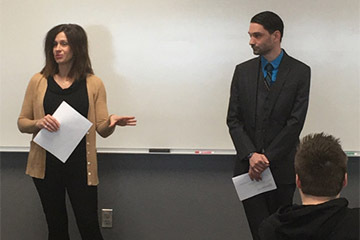 Microsoft Dreamspark allows the College of Business to provide students and faculty free access to Microsoft development software products for learning and research purposes. Students must be enrolled in a minimum of 1 credit hour of business coursework. Review the Microsoft DreamSpark Student Use Guidelines. Your student status will be checked, and you will be allowed into Microsoft DreamSpark if you are enrolled in one or more business classes. If you do not receive access to the system and you believe it is a mistake, please contact the Microsoft DreamSpark Program Administrator by submitting a Service Request. Note about .iso files: Some software packages will download in .iso format. An .iso file is an image of a CD or DVD. In order to access the setup program contained within the .iso file, you need to extract the .iso file. There are a number of extraction programs that can be used for this purpose that are free or have free trial periods, including WinRAR and 7zip. Once the .iso file has been extracted to a folder on your computer, you can run the setup program within that folder to install the software. The College of Business has licenses for the following software products. To access software that you don't already have installed, please submit a Software Request Form to the College of Business IT Services so we can install it for you. Please note that a license may need to be purchased for your use. All new employees and students should receive a welcome email asking them to claim their My.UNL account (id.unl.edu/claim). If your account was created before February, 2011, it is too old to be claimed and the password just needs to be reset. If you never received that message, lost it, or just aren't sure what your My.UNL username is, use the appropriate procedure below. Sign into MyRed using your NUID. Your NUID is the 8-digit number found in the lower-left portion of your NCard above the barcode. Once you have entered MyRed, click on the "Additional Services" tab. Finally, click on the "My.UNL Blackboard Username" link to view your My.UNL username. Once you have claimed your My.UNL account, you will be able to access your Blackboard. If you are able to access your Blackboard, but are unable to log into a computer, you may need to activate your My.UNL account for network access. To do this, visit adactivation.unl.edu. After logging in with your My.UNL username and password, if the page says “AD account activation status” you will need to wait for your account to be activated. If it says “That AD account has already been activated”, you will need to reset your password (See Step #3). If you would like to update your password, or your account is disabled, you will need to use the online Identity Manager (id.unl.edu) to reset your password. If you try logging into a computer and receive a message saying “Your account has been disabled. Please see a system administrator,” a password reset will also enable accounts that are disabled. The Identity Manager requires a Blackboard account to log in. If you forgot your Blackboard password, use the “Forgot Your Password” feature on the website. This will allow you to use your TrueYou information to reset your My.UNL (Blackboard) information. Once you log into the Identity Manager, you will be able to change your password or security questions. When changing your password, it must meet the requirements listed on the website. After resetting your password online, the system may take up to 10 minutes to update. If your new password still doesn’t work after 10 minutes, contact the Nebraska Help Desk from 7:30am to 7:30 pm at (402) 472-3970 or helpdesk@unl.edu. Inform the technician of the problem you are having, and they should be able to assist you in recovering your account. 2. Once you have claimed your My.UNL account, you will be able to access your Blackboard. If you are able to access your Blackboard, but are unable to log into a computer, you may need to activate your My.UNL account for network access. To do this, visit adactivation.unl.edu. After logging in with your My.UNL username and password, if the page says “AD account activation status” you will need to wait for your account to be activated. If it says “That AD account has already been activated”, you will need to reset your password (See Step #3). 3. If you would like to update your password, or your account is disabled, you will need to use the online Identity Manager (id.unl.edu) to reset your password. If you try logging into a computer and receive a message saying “Your account has been disabled. Please see a system administrator,” a password reset will also enable accounts that are disabled. The Identity Manager requires a Blackboard account to log in. If you forgot your Blackboard password, use the “Forgot Your Password” feature on the website. This will allow you to use your TrueYou information to reset your My.UNL (Blackboard) information. Once you log into the Identity Manager, you will be able to change your password or security questions. When changing your password, it must meet the requirements listed on the website. Our Online Service Request Forms are the best and quickest way to get help.